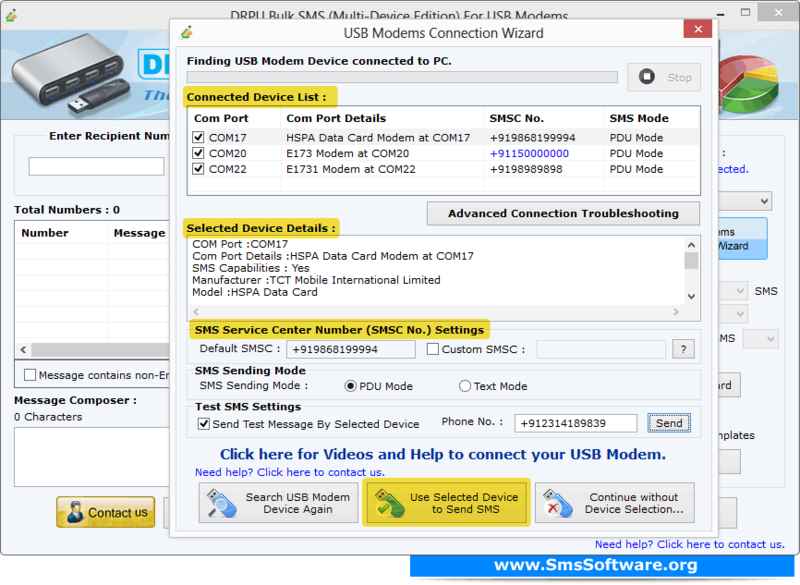 Connection Wizard shows connected device details, select Com Port from Connected Device List and click on "Use Selected Device to Send SMS" button. 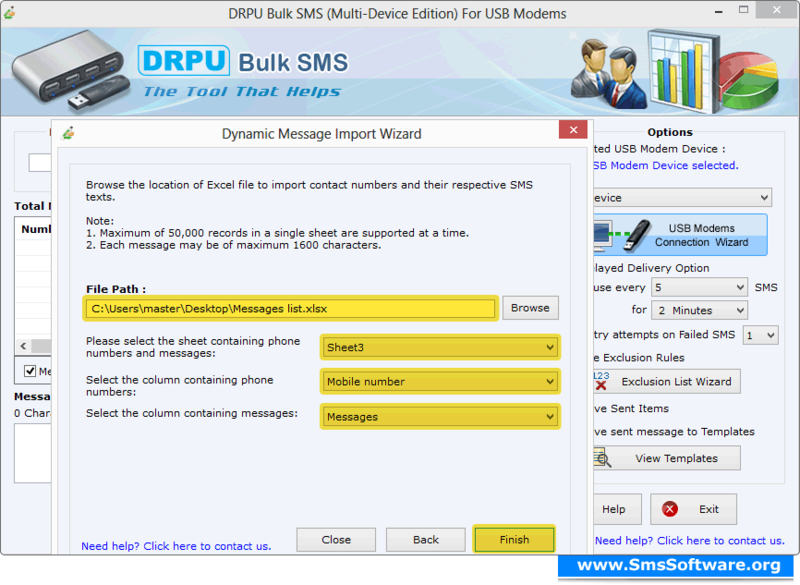 Click on "Send unique or personalized SMS to every Contact using Excel" button to compose dynamic and personalized message to every contact using excel file, choose any one option among "Import Numbers and their respective messages from Excel File" and "On the basis of Excel file contents, create personalized Dynamic messages", and Continue. 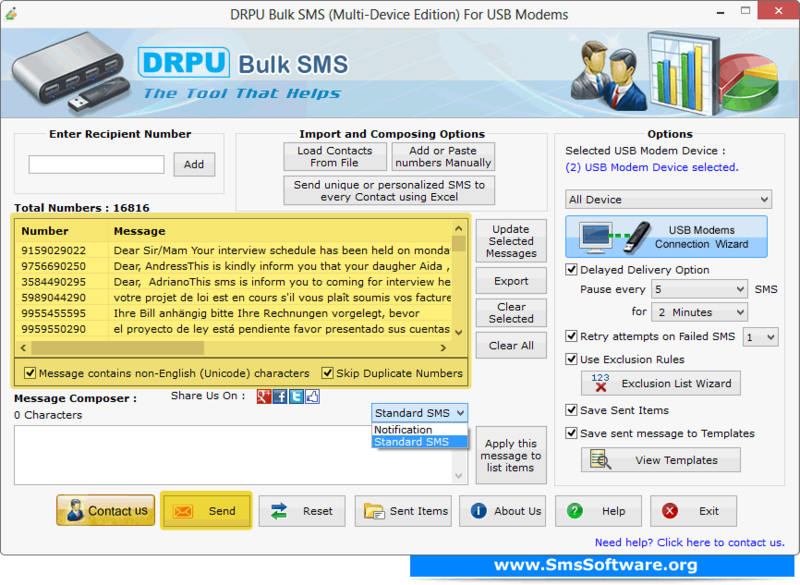 Browse excel file containing contact numbers and their respective messages, select excel sheet, column containing contact numbers, column containing messages, and click "Finish" button. 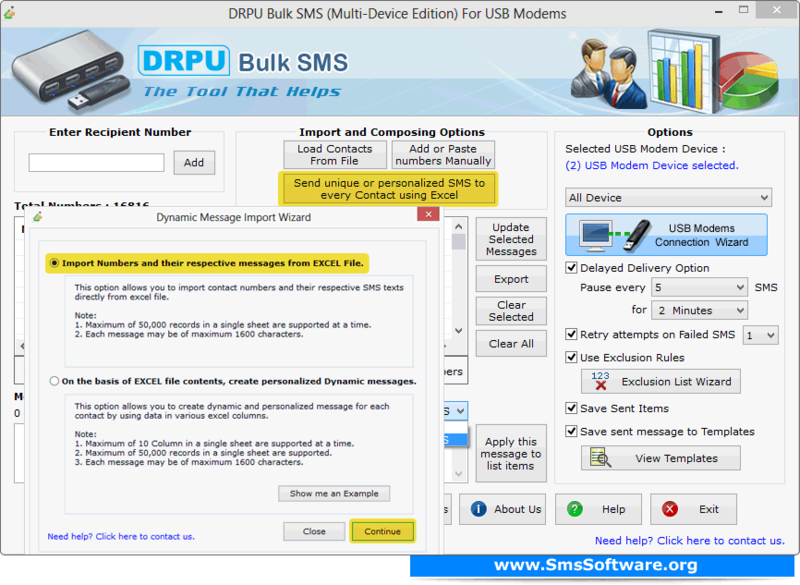 Check on "Skip Duplicate Numbers" option to skip duplicate number and select Standard SMS or Notification option (as you want to send), and click Send button to send messages. 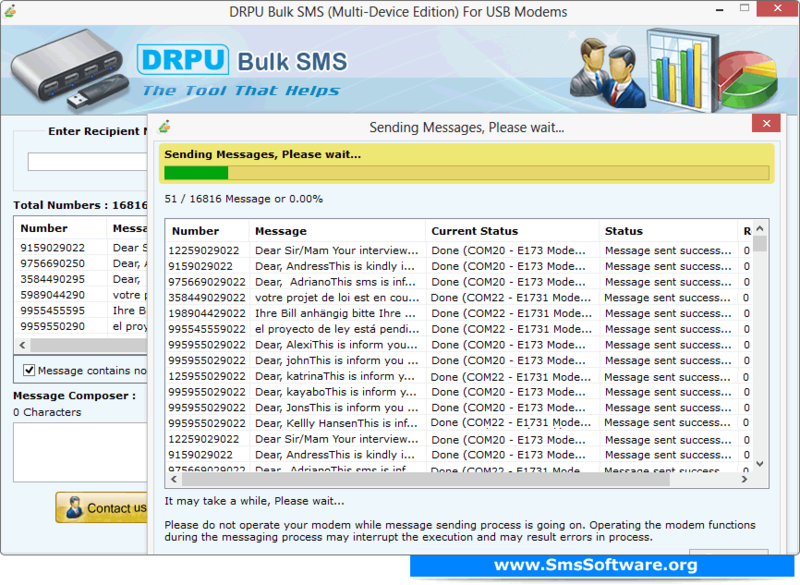 Progress bar shows running status of SMS sending process.